The Weinor Aruba retractable drop arm window awning is the awning for everybody who wants attractive shade without losing the clear view. The Aruba drop arm awning can be angled to enable a clear view whilst offering effective sun shading. Thanks to true Weinor quality, the Aruba drop arm awning has a robust frame making it suitable for use even on a windy day. Internal springs restrain the cover so it does not flap, even in gusty conditions. Weinor products are renowned for their high-grade materials and accurate manufacturing process and the Aruba drop arm window awning is no exception. In addition to its heavy duty frame, the awning is available with both a squared (Carré) and rounded cassette profiles to protect the cover material from the elements when not in use; if used in a protected area, it is also available without a cassette. Weinor class design as an important element in a product which is why they offer a brilliant range of colour choices too. There is a choice of 47 frame colours available at no extra cost, or a selection of 8 high quality scratch-resistant colour for an additional fee. They also offer weather and colour resistant acrylic covers available from top of the market Italian manufacturers; Moments range manufactured by Para and Soltis range manufactured by Ferrari. Weinor fits an electric drove onto the retractable Aruba drop arm awning as standard allowing for ease of use. Most of these motors are fitted out of sight inside the fabric roller ensuring an attractive image is maintained. Awnings can be operated at the simple touch of a button using the WeiTronic Remoto remote control set. 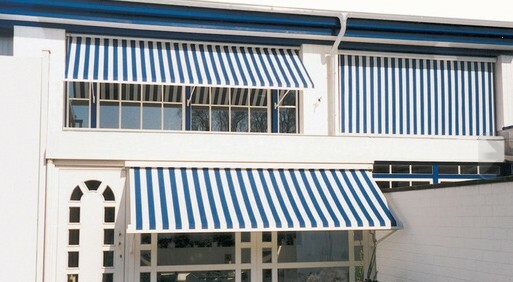 Weinor awnings can be adapted easily meaning coupling awnings is not out of the question. Awnings can be coupled to create a larger surface area.